If you have a number of children, tow a boat or horse trailer and like the feel of a substantial V8-powered vehicle, the all-new Tahoe could be just the ticket. Another plus: the Tahoe's powerful V8 engines offer Active Fuel Management technology and many are E85-ready. The things I love about my Tahoe. No problems really. Performance far outweighs any other vehicle I have ever owned. It is heavy duty, 4WD, and can drive in almost any weather condition. Its super easy to drive and easy to understand the different functions of what the vehicle offers. I love the comfortable seating and the option of warming your seat in cold weather. I do wish the seats had a cooling system though. I love all of the dash options from low tire pressure to how many miles traveled. My favorite option is with the push of a button, the back seats fold forward to make room for other passengers to enter the vehicle or simply when you are hauling a bigger item and need the room. I love my Tahoe! The most important thing to know about my car is that it is a 2007 model. My family owns a 2007 white Tahoe. Overall throughout the years, the car has been reliable. Only problem that has occurred in the Tahoe is that the battery died. When it comes to comfort, this car is very comfortable. There is tons of space. There are three rows to, it can fit up to seven people. One complaint I have about the car is the fact that it has no Bluetooth. It is a 2007 model though. The last complaint I have about the car is that it could drive smoother. Just to look into any electrical issues the Tahoe had before purchasing it. I love big vehicles and the Tahoe is perfect. It sits high up, I have a good amount of space inside for kids and anything I need to cart around. My only downfall with my Tahoe is that it has a lot of electrical issues. The gauges will fluctuate randomly, the car will not start if the passenger door is open or if you idle and open the passenger door the ac, radio and all the gauges quit working. 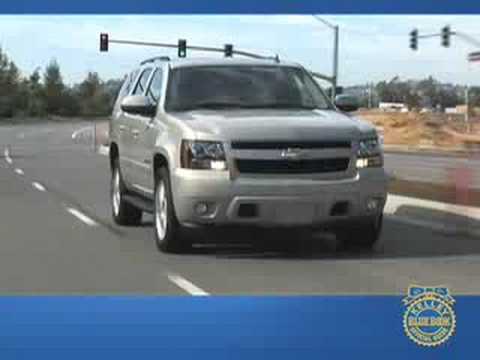 The 2007 Chevrolet Tahoe LT w/256,000 Miles | WATCH WHAT HAPPENS on TEST DRIVE!! !